Chem 3 OG from Cali Connection comes straight from North America and will delight fans of unforgettable genetics. Chem 3 OG consists of a selection of Chemdog, a very popular variety in the North American clinics with incomparable organoleptic properties, impressive resin production and long-lasting effect. On the other hand, we have the famous San Fernando Valley OG F4 clone, which maximizes the production of this strain and brings a lemony touch in the wide range of flavors offered by this variety. Chem OG 3 has a relatively compact structure, but strongly stretches during the pre-flowering stretch. This variety develops flowers that become quickly covered with a thick layer of resin, that can be harvested after 8 weeks of flowering, getting an abundant harvest. This variety is perfect for cannabinoid extracions. The taste is lemony, with citric flavors mixing with fuel. 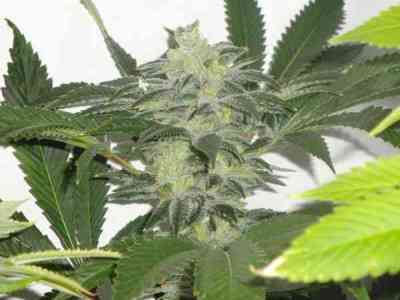 Chem clone #3 brings fresh sour hints on a lemony pine background. The effects are powerful and long lasting.